That the new Z1000 is a rocking, rollicking ride should hardly come as a surprise to anyone. Of all the Japanese motorcycle manufacturers, Kawasaki has the most significant heritage of producing over-the-top super nakeds. The story started with the early-1970s Z1, which could hit a top speed of more than 200kph because of its 80-horsepower 900cc inline-four. The Z1, the most powerful Japanese-built motorcycle of its time, was replaced by the Z900 at about the same time that John Travolta was rocking the world with his dance moves in Saturday Night Fever. By the time Rocky Balboa was taking on Apollo Creed in Rocky II, Kawasaki was ready with the totally outrageous, Honda CBX-rivalling, six-cylinder Z1300. It pumped out 120 horsepower, even if it did weigh close to 300 kilos. Kawasaki has never shied away from building powerful naked motorcycles. No fairings or fancy electronics; just a really big, really revvy engine, a competent chassis and suspension, real-world-relevant ergonomics and mind-blowing performance. This formula, which Kawasaki adopted so successfully in the 1970s, continues with the current Z1000, which we rode and loved to bits. With its 142bhp and 220kg kerb weight, the Z1000 doesn’t really have the power-to-weight ratio of some other litre-class superbikes (the Ducati 1199 Superleggera, for example, has 1.25bhp per kilo). Also, it does not have traction control, nor an anti-wheelie mode to stop you from ending up in a ditch if you’re stupid with the throttle. But, really, we wouldn’t change any of that. Why? For starters, that 1,000cc engine sounds amazing even with the stock exhaust system. And, once you twist the throttle, the Z1000 immediately shows that it is a worthy successor to the Kawasaki Z-bikes of the 1970s and 1980s. Zero to 100kph comes up in a whiff over 3 seconds (enough to keep up with most Lamborghinis and Ferraris), and the top speed is close to 250kph. What we liked most about the new Z1000 is how it feels when you accelerate. Under hard acceleration, the Z1000’s really loud intake howl and the vociferous scream of the engine are some of the most addictive things we’ve ever experienced. Yes, there’s no wind protection here – you’d be hard pressed to hit 200kph without having your head blown off – but it doesn’t matter one bit because you’re too busy laughing, trying to hold on and having a whale of a time. The Z1000 is pretty capable on corners. The stiff, chunky aluminium chassis, 41mm fully-adjustable big-piston fork at the front, adjustable monoshock at the back and 17-inch wheels shod with massive, sticky 190-section (rear) and 120-section (front) radial tyres mean that you can confidently sling the big Z into corners at silly speeds and come out smiling. Twin 310mm brake discs at the front, with radial-mount four-piston calipers, provide massive stopping power, while the single 250mm disc at the back provides adequate back-up. Plus, the ABS is superlative, never cutting in too early or interfering with all-out riding while still providing a safety net on wet, slippery road. Perfect. The one thing about the Z1000 that divides opinion is its styling. The extravagant lines and almost cartoonishly aggressive front – the twin headlamps fix you with a baleful stare every time you walk up to the bike – are not everyone’s cup of sake. We absolutely love it though, and, we suspect, so will most people who like an edgy look. Is the Z1000 worth Rs 12.50 lakh? Yes, every last paisa of that amount. In fact, if we had the money in our bank account, we’d be queuing up outside the Kawasaki showroom right now. 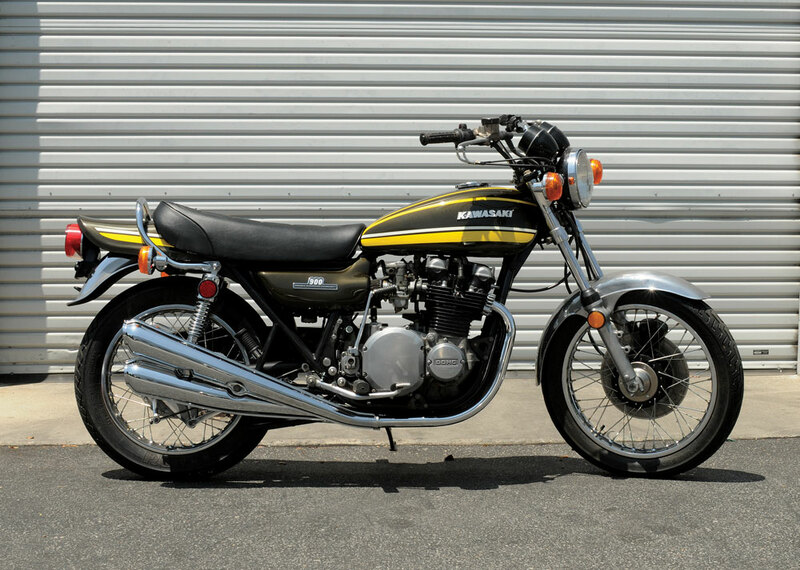 In the late-1970s, someone at Kawasaki decided that a four-cylinder, 1000cc engine wasn’t nearly adequate for a motorcycle, and the six-cylinder Z1300 was born. 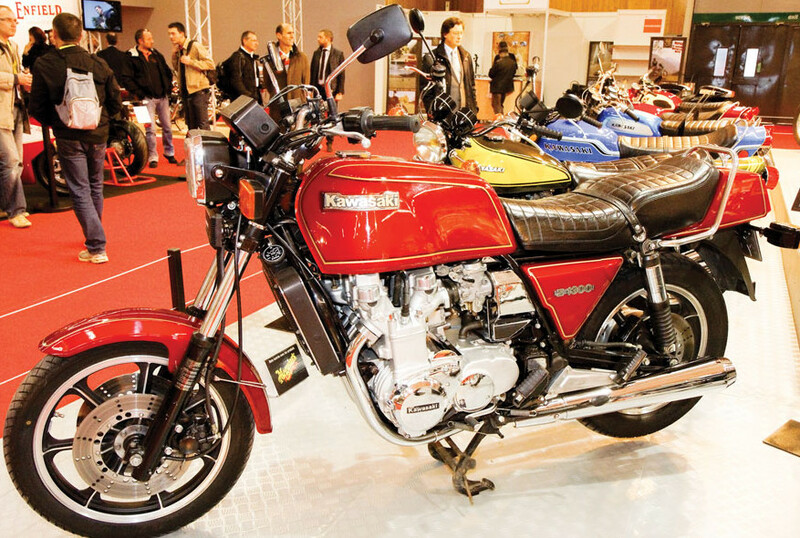 Yes, if Honda could do an inline-six with the CBX1000, so could Kawasaki, with their liquid-cooled 1300cc six-cylinder Z1300, which packed a 130-horsepower punch (and remember, this was back in 1979! ), even if it did weigh a bit more than 300 kilos. Top speed used to be in excess of 215kph. The Kawasaki Z1 was introduced in 1972 and was the fastest, most powerful “super naked” of its time. It was fitted with a 900cc inline-four that pumped out 82 horsepower, which was sufficient to push the Z1 to a top speed of more than 210kph. The Z1 remains popular with fans of classic Japanese motorcycles, with many owners giving extensive makeovers to their machines. The Z1 is also a popular platform for modifications, with owners fitting modern-day wheels, tyres, brakes and suspension to their Z1 / Z900, bringing these bikes up to contemporary levels of performance, without compromising the ‘retro’ styling.